This week I found a ceramic mushroom underneath the Japanese Black Pine in my front garden. I have no idea who left it there or how long it has been there. What's more interesting was that it was made by some one, glazed and high fired. Did that someone knew I do ceramics? Was it one of my neighbors' kids? 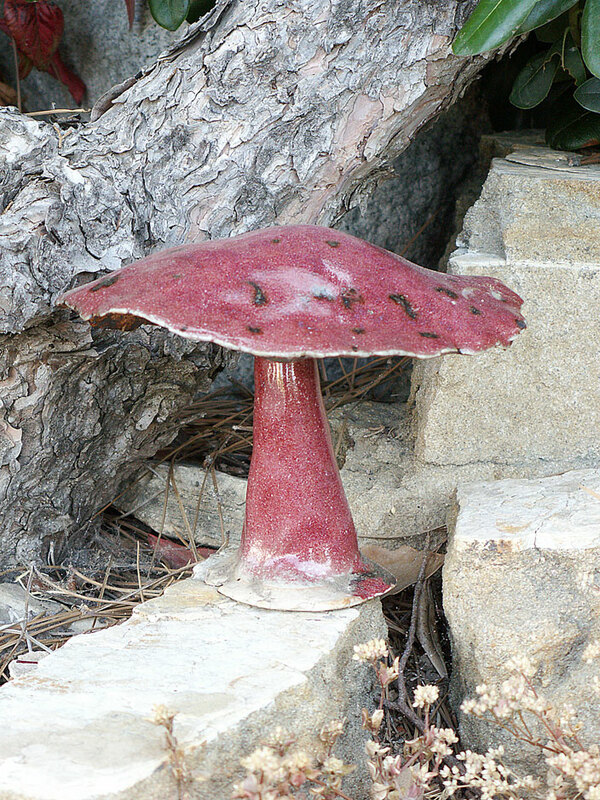 It was actually quite well made and rather large for a mushroom. On the bottom, it had some glazing notation. Iron Oxide was used for the gill area of the cap and for the spots on top of the cap. 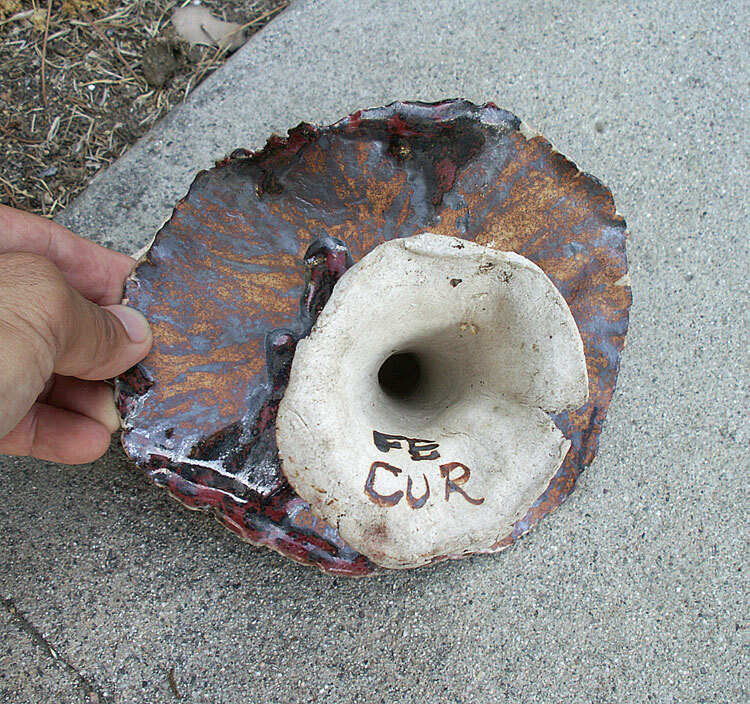 The "CuR", I believe stands for Copper Red. I thought I'd post it here since it is ceramic related. To whoever gave his/her mushroom a new home in my garden, a very big and happy "Thank You" to you! Maybe I'll make some more mushrooms to keep this one company!